T he boxes and bags are all packed, the dorm room has been assigned and course selection is right around the corner. Starting college is a heady time, one that can cause the new college student to forget some of the more practical matters associated with the transition, such as the distance from the Bank of Mom and Dad, and the all the other annoyances associated with the first tentative steps into financial independence. You may already have an account open from a summer job or weekends bagging groceries, but does that mean that you should continue using this account when you head off to college? Not necessarily, especially for those of you whose colleges are in a new state or were previously banking at a more local institution. 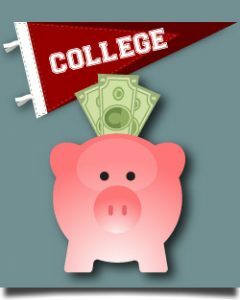 Read through the following tips to get a better sense of what youll want to look for when deciding how to handle your banking while in college. The first thing you need to decide is: credit union or bank? If you’ve never opened an account at either, the distinction between the two might not be immediately apparent. Both types of institutions accept deposits and provide financial services to their depositors, such as providing loans and allowing members access to their money through ATM’s worldwide. Credit unions, however, are not-for-profit institutions that view themselves as community oriented, generally offering more advantageous rates, from lower interest rates on loans to higher interest on savings account or CD rates. Technically speaking, whereas depositors at banks are viewed as customers, credit union depositors are members and owners in the union. Money at banks is invested for the banks profit; money at a credit union is reinvested for your profit. As a college student, your life will be busier than ever before. Heading off campus with no car might be a daunting challenge, and access to your money will be of paramount importance. Credit unions and banks often have branches on your campus; you might even see one of your classmates behind the counter handling your deposit. They also usually operate at least one or two ATM’s on campus as well, which means a much shorter walk to access cash. With the explosion in smartphone use, especially amongst the college-age demographic, online banking and mobile apps have become incredibly important. A few years ago, this was an arena dominated by larger banks with the financial resources to offer the most high-tech tools for mobile banking. In the past few years, however, credit unions have caught up and now offer many of the same services available on your phone as Bank of America or Chase. Watch out for minimum deposits and other requirements at large banks; many require that your checking account and your savings account both maintain a minimum balance. If your balance falls below this amount, you may be charged. That’s right, you can be charged for having too little money. One option is to look for a student account, which might waive such fees for full-time college students. Most credit unions also avoid these fees in principle and in practice, as their goal is to make you money. As a broke college student, you may often find yourself scraping the bottom of your account for a life-saving slice of pizza. Don’t let a $3 slice turn into a $28 slice make sure to take into account the overdraft fees at a bank or credit union and understand how to avoid them. Banks and credit unions near college campuses know the way to their members hearts free t-shirts and other such perks. It does’nt end at graduation either. If you join a university credit union, most allow for alumni membership, which means you can continue to be a lifetime member. Your credit union will probably offer auto and home loans, as well as other types of credit at very good rates; remember that even a small difference can save you a bundle over the life of the loan. This article has come down pretty heavily on the side of credit unions. Rest assured that as not-for-profit institutions, there is a good reason for it. In the interest of completeness, however, I should mention some last things to consider before telling you to run down and open up your new credit union account. Big banks offer two advantages that credit unions may not. The first is easy transfers from mom and dad. Having an account at the same bank as them may make it easier to transfer funds when your books cost a little more than you originally budgeted for. The second is credit cards, something that should probably be avoided by freshman and sophomores anyway, but a useful financial tool that your credit union may not offer. That being said, make sure to shop around and check out your university’s credit union when you first get to campus. Let them explain the rates and benefits to you and see if you’re convinced. Happy saving!